The second week of February was quite busy with talks! 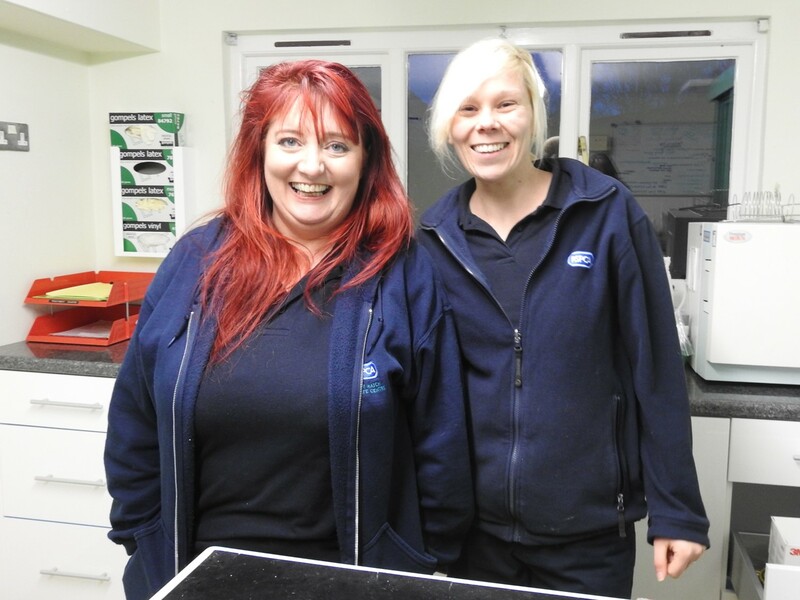 After two evening ones for different WI groups (Germoe District and Mylor) we had the pleasure of travelling up to the RSPCA Wildlife Hospital at West Hatch to deliver an afternoon talk to the team there. Arminel (Scott) did a fantastic job of organising this event and although everyone was very busy we had a great turn out with a group of just over 20 people attending. Thank you to everyone who came to listen to us, we hope that you enjoyed it and found it informative! 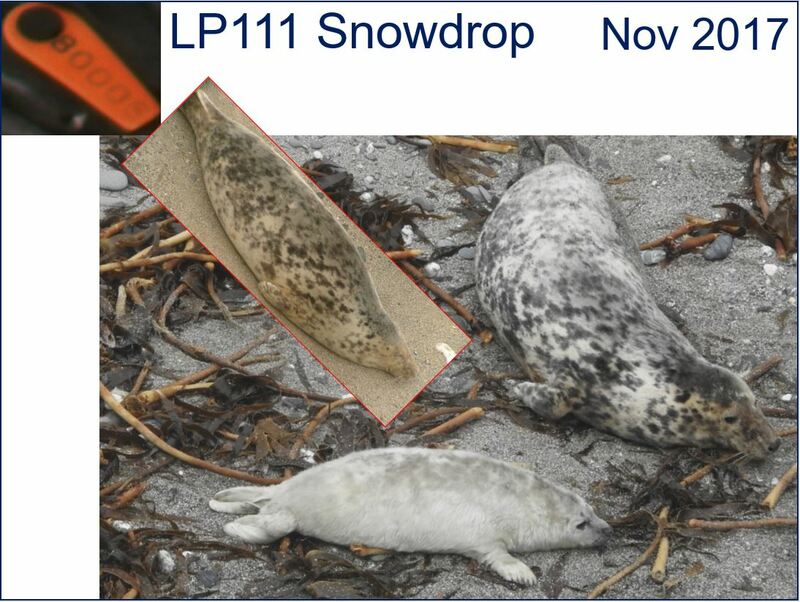 To make the most of this opportunity, Sue combined information from her “Grey seals” and “Seal pups” talks. She then talked to the team about some of the seals they had cared for over the years and which had been sighted in the wild after their release. 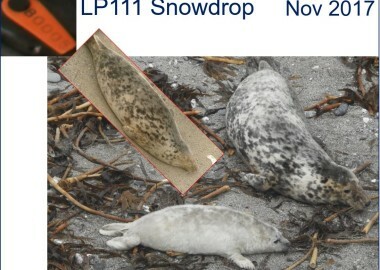 The most extraordinary example of this is a female grey seal called Snowdrop. 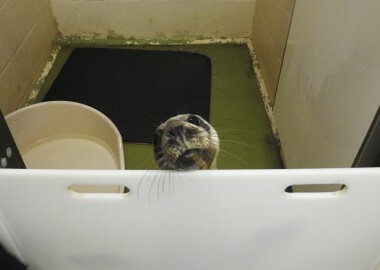 Admitted on the 7th of November 2009, she was transferred to the Cornish Seal Sanctuary before being released in West Cornwall on the 14th of April 2010. She was re-sighted nearly 40 times between 2011 and 2014. 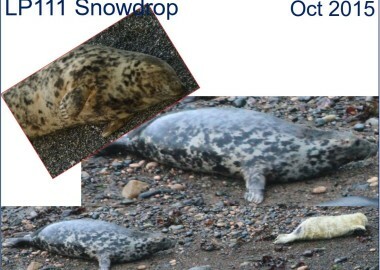 In October 2015 – at the age of six – she was seen with a pup (probably her first one) on Skomer. From what the book says, she would have then been expected to have pups there every year. But she broke the rule and two years later she had a pup in West Cornwall! As they were working the late shift, Alison (Shearer) and Kirsten (Larcombe) showed us around the hospital and pools after the talk. They were caring for an impressive number of pups both inside and outside. Many of them real characters! We met Nomad the attention seeking singing seal (he howls very loudly and bangs his pen door with his fore flipper) who doesn’t go quiet unless we look at him and talk to him. Lada has learned to stand up using her rear flippers and said hello with her head far above the gate to her pen door. Thank you and WELL DONE to all the team for their incredible efforts (well above and beyond any expectations we could have had) in this time of crisis with seal rescues! It was an honour getting to visit and meet everyone. You are all seal heros!